CNN Indonesia reported that the incident happened at the Sekaten Night Market in Yogyakarta, Indonesia yesterday, 11 November. 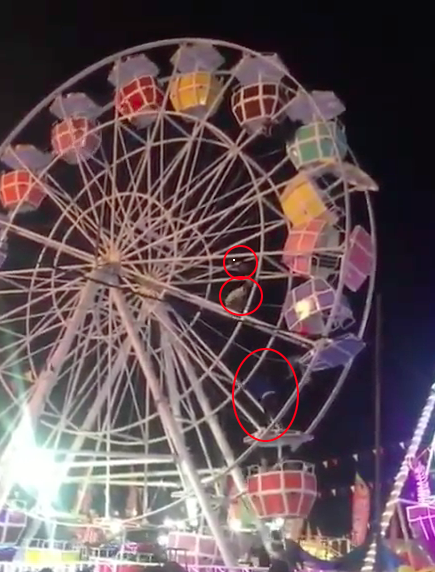 CNN Indonesia said the three men were workers of the ferris wheel who went up to manually evacuate the passengers in the overturned cabins. Kompas.com reported one onlooker saying that the overturned carriage was occupied by a family with a young child. The child could be seen holding a balloon. However, Yogyakarta Police spokesperson Adj. Sr. Comr. Yulianto﻿ confirmed that there were no injuries in the incident, according to CNN Indonesia.